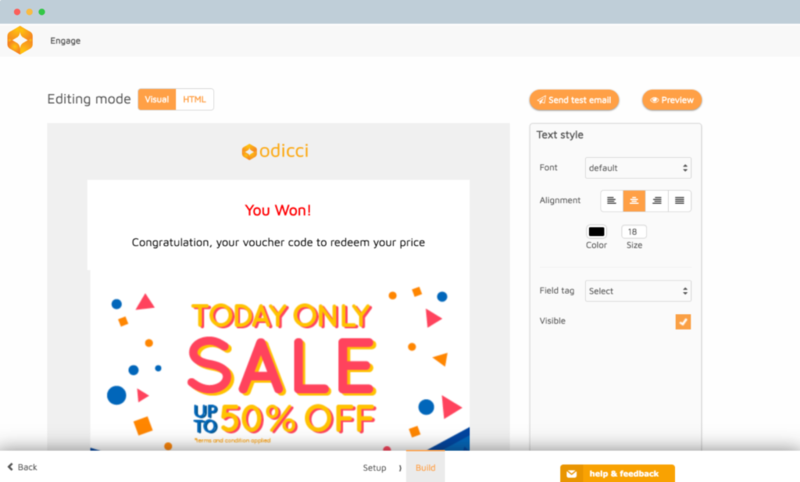 ODICCI is a modular customer engagement platform that empowers marketeers to build stronger relationships with new and existing customers. With ODICCI you can build interactive experiences for data capture and data enrichment and develop a loyal customer base as a result. ODICCI can be implemented in e-Commerce or as an OmniChannel solution. Engage your audience with fun and interactive experiences online and/or offline / online. 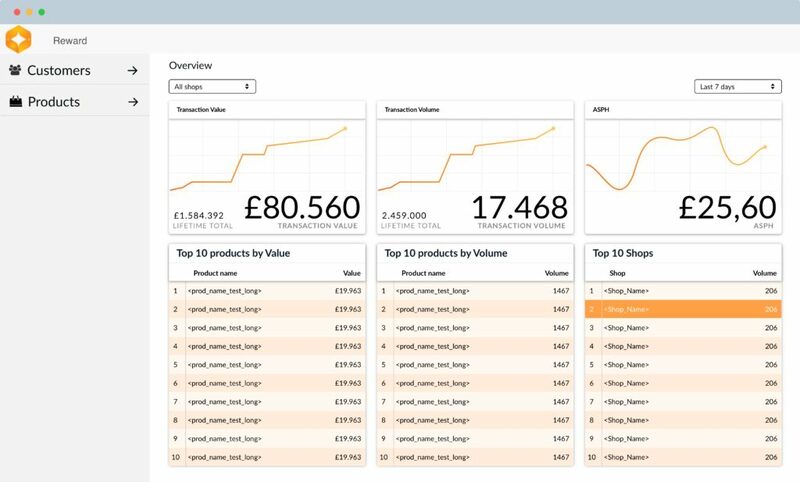 Enrich customer insights thanks to swipe surveys or dynamic profiling experiences. Measure customer value on a recency, frequency, monetary model and predict future lifetime value. Keep customers coming back by being creative and offer unique experiences that cannot be match elsewhere. Setup and Configure our games (jackpot, wheel of fortune, quizz, …) with your own branding, prizes. Collect instant feedback at the point of interaction using swipe surveys or dynamic profiling experiences and enrich customer insights. 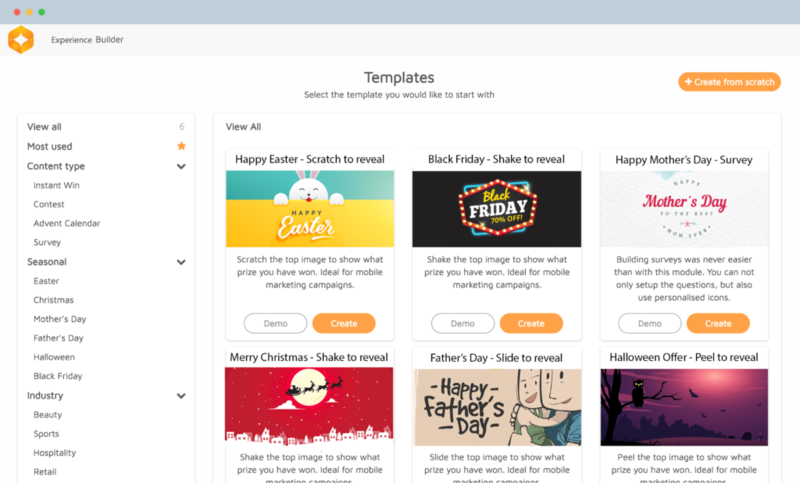 Optimize any aspect of your campaign by experimenting and iterating over time. Establish a single source of truth with a platform built to ingest an infinite number of data points from any system. Your customer’s actions – or inactions – trigger engagements that help manage churn, build loyalty, and optimize value.